Online Nursing R.N. to B.S.N. Gain the preparation you need for professional nursing practice through the online RN to BSN program at Indiana State University. This unique fully online nursing program features a portfolio evaluation that provides nurses like you the opportunity to earn credit for your vast nursing experience. By earning the RN to BSN degree from Indiana State, you’ll open up nursing career opportunities in a variety of hospital and other health care settings. Indiana State’s nursing program is approved by the Indiana State Board of Nursing and accredited by the Accreditation Commission for Education in Nursing, Inc. (ACEN). 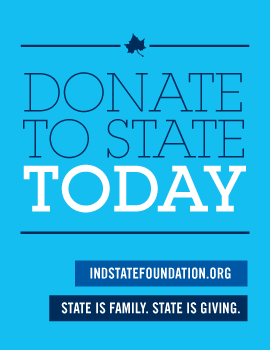 Indiana State Online Students Residing Outside of Indiana: While Indiana State University endeavors to offer all of its programs to as wide an audience as possible, all ISU online programs may not be available in all states, U.S. territories, or Canadian Provinces. To check the status of programs available in a particular state, U.S. Territory, or Canadian Province, visit program availability. Select Indiana State University online programs are open to U.S. military and State Department personnel and their family members with APO/FPO addresses. Check specific program availability in regard to programs which require clinical rotations. All programs are closed to all students residing in any other jurisdictions.